"Deep-fry yer pizzas. We're gonna deep-fry yer pizzas." 1. When this hero stand-up comedian made the ultimate Scottish wildlife poster. 2. When Johnny Depp found himself advertising "Sausage." 3. 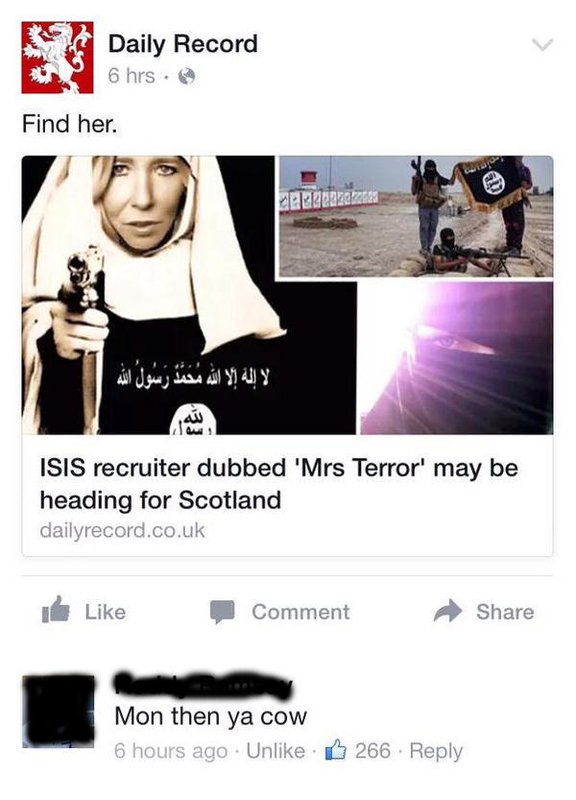 When Roddy came out with the most perfectly Scottish response to a terrorist threat of all time. 4. And the Lanarkshire town of Larkhall came a very close second. 5. When an observant Glaswegian spotted the fatal flaw in this sign. 6. When Kevin Bridges came out with this belter. 7. And when Frankie Boyle made this very thought-provoking observation. 8. When this wee guy was more inspirational than anything you'll find on HONY. 9. When, as ever, Scottish Twitter was the funniest place on the internet. 10. And Sardean came out with this perfect comeback. 11. And when their Facebook game was pretty damn good as well. am on the raj no the Winter Olympics hahahahahahahahahaha oh u fucker. gone. 12. When this shop in Glasgow came up with the perfect name. 13. And this sofa store couldn't resist a cheeky pun. 14. When this pub decided to ruin Drynuary. 15. When Scott decided being repeatedly pulled over by the police was a small price to pay for a good gag. 16. And this decorator let honesty get the better of him. 17. When Dumfries and Galloway police told the ultimate dad joke. 18. Although they had stiff competition from the owner of this Shetland noticeboard. 19. When this Glasgow bus learned how to speak. 20. When some creative types left this beautiful bit of art at the top of Arthur's Seat in Edinburgh. 21. When Chutney Bay invented a delicious alternative to parking tickets. 22. When Limmy wished the England football team the best of luck in the most sincere way possible. 23. 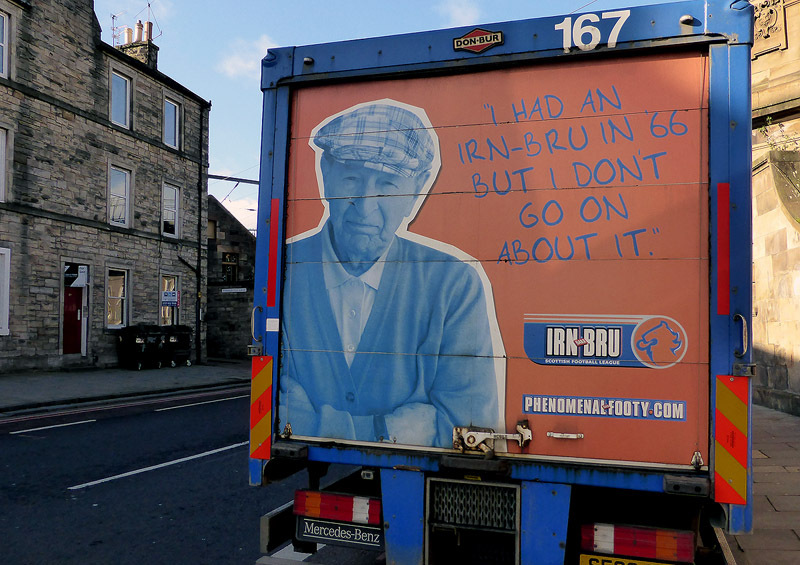 When Irn-Bru came out with this great response to England's last World Cup victory. 24. And, of course, when the Tartan Army came up with the funniest football chant of all time.